Bring an authentic look to your Pirates of the Caribbean costume with the Pirates of the Caribbean Jack Sparrow Pistol. This toy weapon makes a great accessory to any men's or women's pirate costume. 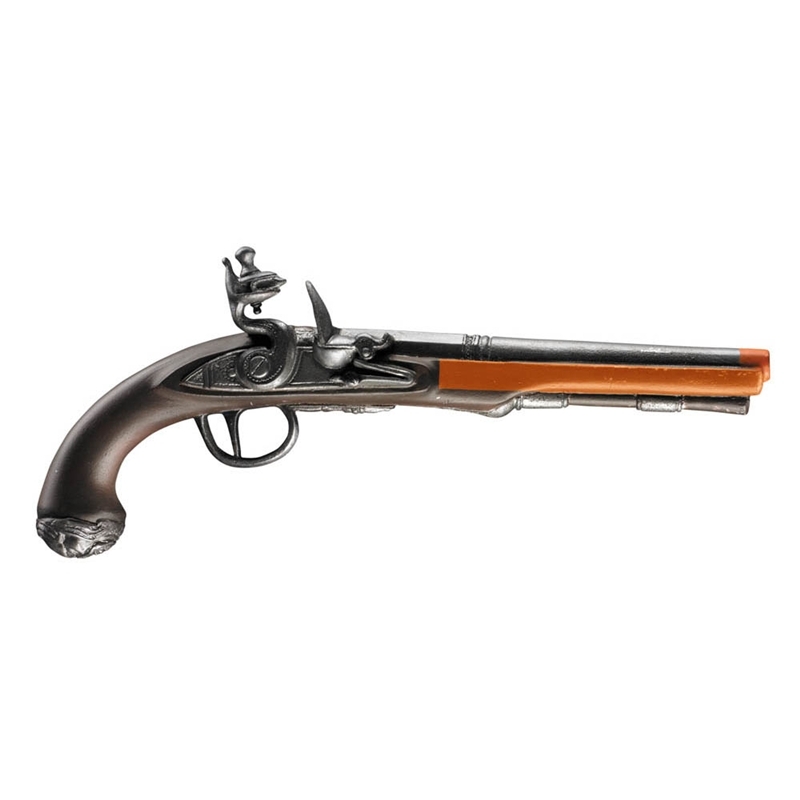 The Jack Sparrow Pistol features a silver and wood design after the classic Flintlock pistol used in the 2011 Pirates of the Caribbean: On Stranger Tides movie, and features an orange tip to meet safety standards. The pistol also makes for a great accessory for colonial costumes, stage productions, and Thanksgiving reenactments.